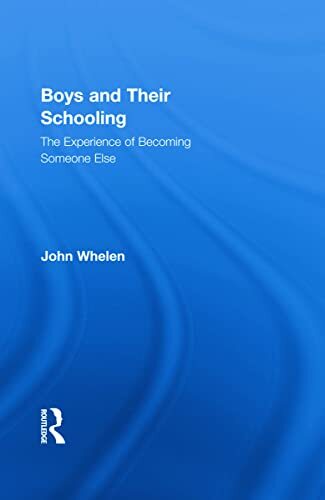 [PDF] Boys and Their Schooling: The Experience of Becoming Someone Else (Routledge Research in Education) | Free eBooks Download - EBOOKEE! Description: This book presents an ethnographic study of the experiences of teenage boys in an Australian high school. It follows a group of thirteen to fifteen year olds over a period of more than two years, and seeks to understand why so many boys say they hate school yet enjoy being with one another in their daily confrontations with the formal school. The study acknowledges the ongoing significance of the "boys' debate" to policy-makers and the media, and therefore to teachers and parents, but moves it on from issues of gender construction and the panic about achievement to the broader question of what it is to experience being schooled as a boy in the new liberal educational environment. No comments for "[PDF] Boys and Their Schooling: The Experience of Becoming Someone Else (Routledge Research in Education)".